New iPhone 7 and 7 plus can shoot 4K video as well as iPhone SE, 6s, and 6s Plus. 4K video resolution is 4x as many pixels-twice horizontal and twice vertical-as 1080p, you can get amazing visual enjoyment. Have you tried to shoot the 4K video by iPhone 7/7 plus, iPhone 6/6plus? Do you want to make the 4K video better and better? Edit 4K video on iPhone is great, you can crop, zoom, pan, down-sample, and stabilize, etc. Can’t wait to enjoy 4K on iPhone? Want to shot, edit and share 4K video on iPhone easily? 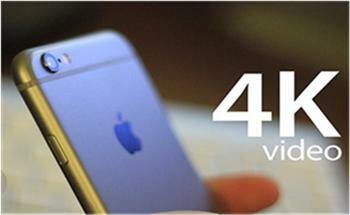 Here you can become the professional iPhone 4K videp player. Your iPhone Storage Space is enough for 4K Video? Before the real 4K video tipoic, we should make sure the iPhone storage is enough. Generally, how much space 4K video will take up? 4K video space is decides by the 4K length. Usually, a 30 seconds of 4K will take approximately 188MB, 30 minutes takes up 12GB. As you can see, it’s a bit heftier than your average video. For the record, a 16GB iPhone comes with around 12GB of available space outside the OS-so you could conceivably fill up an entire phone with 30 minutes of 4K and nothing else. This is, in large part, why 4K is off by default on new iPhone 6s and 6s Plus models-you have to visit Settings > Photos & Camera > Record Video to change it. How to Record 4K video on iPhone? Shooting in 4K can consume 300-400 MB of storage per minute of video. So, if you would better choose a 128 GB iPhone and aren’t in the habit of pulling your video files off your device and into Photos for OS X or a folder on your Mac or Windows PX, you may want to leave 4K video off by default and only turn it on when you really want or need it. If you have compressed the 4K to 1080p video, you can open the video easily. Also you can enjoy the 4K video on smartphones, tablets, HD media players, game consoles well. 1. Launch Settings from the Home screen. How to Edit 4K videos on iPhone? 1. Go to the video you want to trim. Depending on how recently you shot it, you can either tap the thumbnail right in Camera, got to the Photos app and browse for it, or go into the Videos album and look for it there. 2. Tap Edit at the bottom (Camera app) or top right (Photos app). 3. Tap the left or right edge of the video scrubber at the bottom to re reveal the yellow edit handles on each side. 4. Drag the edit handles to the points where you want to start and finish the video. 5. Tap Trim or Original or Save as New Clip. 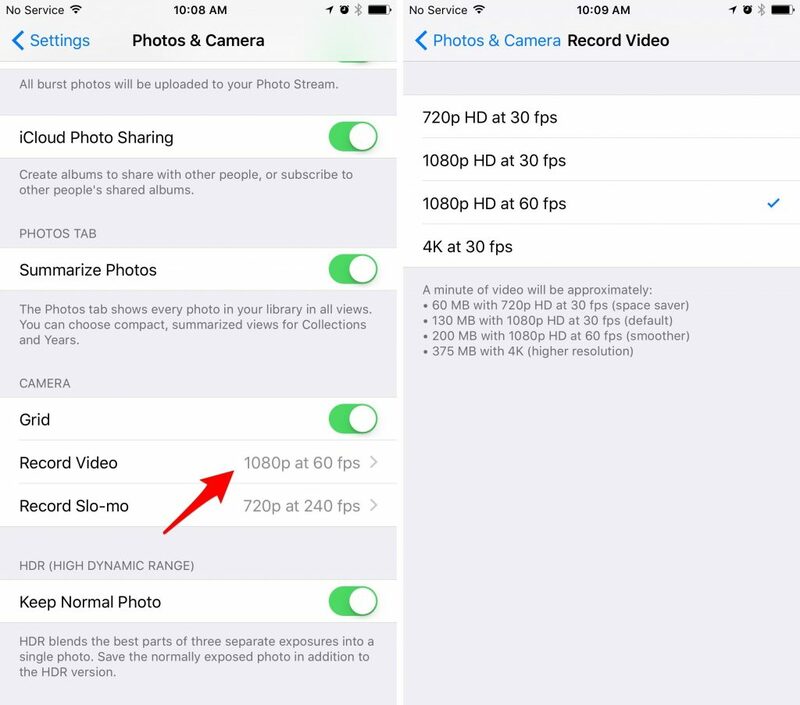 How to Share 4K videos on iPhone? YouTube does accept 4K uploads, so it’s a great choice if you want to publish your project to the world. 1. Go to the video you want to share. Depending on how recently you shot it, you can either tap the thumbnail right in Camera, got to the Photos app and browse for it, or go into the Videos album and look for it there. 2. Tap the Share button. 3. Tap the video you want to share. A blue checkmark will appear in the bottom corner you’ve selected it. 4. Tap the icon of the service you want to share to. 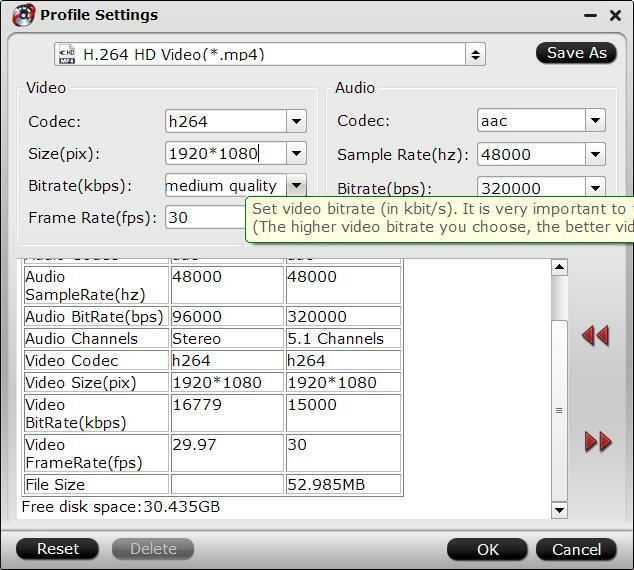 Want to get a more powerful 4K video editor or perfect 4K to 1080p video converter? You can try Pavtube Video Converter Ultimate for Windows/Mac which can compress 4K to 1080p video without any video quality loss. In addition, you can downscale HD video to SD video for smaller space. 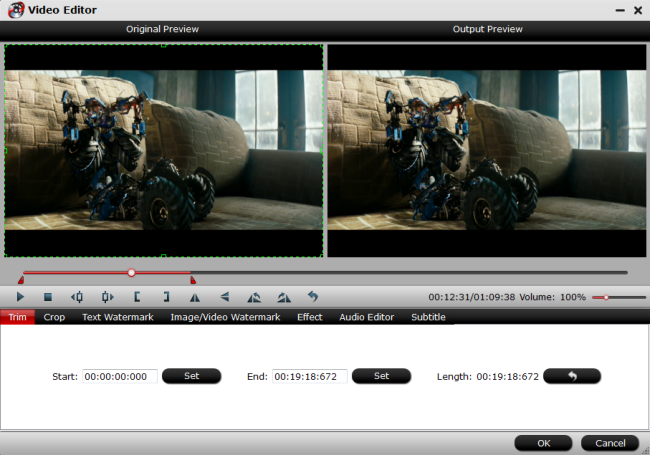 What’s more, you not only can compress 4k video to 1080p video, you also can edit 4k video. so cool, one tool, multiple video features, you just need to import the 4k video to it and click the pen icon which is at the top of the mainn interface, details you can refer to the following detailed steps. 1. Open this 4K video converter and import 4k video by "File">"Load Video/Audio"
3. Click "Setting" button, you can adjust the video frame to 30fps, you also can change the vidoe resolution to 720p or change the video and audio codec. 4. Replace and add new music to video. With this software, you can editn4K video on more video editors, such as: Windows Movie Maker, Sony Vegas, Adobe Premiere, iMovie, Final Cut Pro, Avid Media Composer, etc. There are other share website which can’t support 4K video, 1080p video is the best, you can adjust the 4k video to 1080p video for Facebook, Vimeo, etc. You can cut the video within 60s, because most apps only can supoort 6o second video length, some apps is limited to the video frame, above HD video ad 30 fps is a wise choice. I believe you have masted above software or iPhone 4K video editing skills, just enjoy the 4K on iPhone.